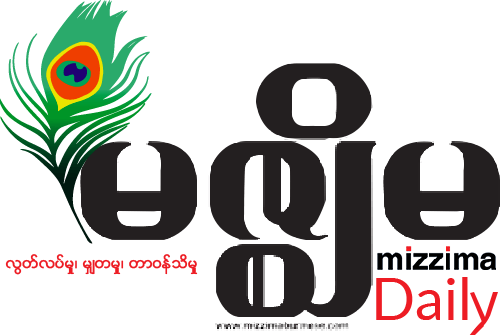 FastGo ၏ Facebook Fan-page ပေါ်မှ ရရှိသော အချက်အလက်များအရ FastGo သည် Capital life Insurance နှင့် ပူးပေါင်းပြီး မိတ်ဆွေယာဉ်မောင်းနှင့် ခရီးသည်များအတွက် အာမခံကာကွယ်မှုပေးသော ပထမဆုံး အငှားယာဉ်ဖြင့်သယ်ယူပို့ဆောင်ခြင်းကို ဝန်ဆောင်မှုပေးသည့် နည်းပညာမြင့် ပလက်ဖောင်း ဖြစ်ကြောင်း ကြေညာထားပြီးဖြစ်သည်။ အာမခံကာကွယ်မှုပေးထားသော ခရီးစဉ်တွင် မတော်တဆမှုဖြစ်ပွားပါက တစ်ဦးလျှင်အများဆုံး ကျပ်သိန်း နှစ်ဆယ် အထိမတော်တဆမူပေါ်မူတည်၍ ရရှိနိုင်ပါသည်။ FastGo ၏ ပြောရေးဆိုခွင့်ရှိသူ ဦးမျိုးမြင့်မောင် (Business Development Director) မှ "တခြားကုမ္ပဏီတွေမှာဆိုရင် မိတ်ဆွေယာဉ်မောင်းအနေဖြင့် ဝင်ငွေကို နောက်တပတ်အကြာမှ ထုတ်ယူနိုင်မည်ဖြစ်သော်လည်း FastGo တွင် နောက်တရက်ဆိုသည်နှင့် ထုတ်ယူနိုင်မှာ ဖြစ်ပါတယ်။ ကျွန်တော်တို့ အာမခံနိုင်တာကတော့ မိတ်ဆွေယာဉ်မောင်းများ ငွေထုတ်ယူရာတွင် ဝန်ဆောင်မှု စားရိတ်အသက်သာဆုံး နှင့် ပါတနာကုမ္ပဏီဖြစ်သော Mytel ၏ wallet မှတဆင့် ထောင်ချီသောဆိုင်အများအပြားတွင် လွယ်လင့်တကူငွေထုတ်ယူနိုင်ပါမယ်"
ဝန်ဆောင်ခများနှင့်ပတ်သတ်၍ ဦးမျိုးမြငိ့မောင်မှ "FastGo သည် စျေးနှုန်းသက်သာသော အီကိုစနစ် ဖြစ်ပြီး မြင့်တက်လာနေသော မြန်မာလူမျိုးများ၏ နေ့စဉ်ဘဝအတွက်လိုအပ်ချက် များကို ဖြည့်ဆည်းနိုင်ရန်အတွက်ရည်ရွယ်ထားတာဖြစ်ပါတယ်။ ဒါ့အပြင် မြန်မာနိုင်ငံရှိ ယာဉ်မောင်းတွေနဲ့ ခရီးသည်တွေမှလည်း အကောင်းဆုံး ဝင်ငွေ၊ အသက်သာဆုံးစျေးနှုန်းများ ဖြင့် ဝန်ဆောင်မှုကောင်းတွေပေးနိုင်လိမ့်မယ်လို့လည်း ယုံကြည်ပါတယ်။ ခေါ်ဆိုမှုများတဲ့အချိန်အခါမှာလည်း ပုံမှန်စျေးနှုန်းအတိုင်းသာရှိနေအုံးမည်ဖြစ်ပြီး အဆမတန်စျေးတက်တာတွေတော့ မရှိပါဘူး၊ နောက်ပြီး အပိုပေးငွေ (Tip) ကိုလည်း ခရီးသည်မှယာဉ်မောင်းများကိုလည်း မငှားခင်ပေးနိုင်သလို ယာဉ်မောင်းမှလည်း FastGo မှအပိုပေးငွေတို့ကိုလည်း ပေးသွားမှာဖြစ်ပါတယ်"
FastGo - The new comer in Myanmar Ride Haling industry is now giving big promotion campaigns. The new player - FastGo from Vietnam was introduced to Myanmar at the end of 2018 together with local partner AsiaSun Group. They’re offering very difference services charge model compare to others. They said they’re now giving free of services charges for all driver from 6 to 12 months to experience their services. After the period, they will not charge to driver by % commission like others in the market but they will charge by flat fee which is from 0 ks to maximum 3,000 ks a day according to daily revenue. After just two months of setup pre-conditions, localization and acquiring driver partners, FastGo said they got enough of basic online driver to start opening the passenger acquisition plan from March 2019. Along with Grab Taxi, Oway Ride and Get Ride, the new player from Vietnam – FastGo start giving big promotion campaigns to warmup the local market. According to their official information, they’re now providing very big promotions for both drivers and passengers which are: • On Full Moon day of TaBaung 20 March, all passenger with get 50% discount with amount up to 2000ks/ trip to & from Shwedagon Pagoda while their driver partner will get 500 ks bonus for 1 trip. • From 21th to end of March, FastGo also offer 50% discount for first 5 trips per passenger with amount up to 1500 ks/trip. • After those promotion programs, FastGo person said they’re going to lunch another program named “Cash Back” for their passenger to ride more - get more. • FastGo will automatically add more bonus to their driver partner at some far places to make sure they will get the better income but customer doesn’t need to pay more. “We will pay income to our driver partner in the next day which other company have to take almost a week or more than. We will guarantee the cheapest services charges to driver when withdraw money via thousands store of our wallet partner - Mytel” Said – U Myo Myint Maung Business Development Director of FastGo Myanmar. FastGo also have strong cooperation with largest 4G and most innovative operator - Mytel to provide special offer Data, Call, Top-up & Payment services to all their driver partners and passengers. FastGo spoken person said their passenger & driver will enjoy a lot of cross-promotion programs soon. Regarding to Services Charges, U Myo Myint Maung said: “FastGo is going to be eco-system to provide on demand services to daily life of Myanmar people so all of our plans and strategies are always made for long-run. We guarantee our partner will get better income and our passengers will served better ride with cheaper cost but better services. We will not increase price in high demand, peak hours or raining to passenger like other but we open TIP feature so passenger can give some TIP before booking to get the car easier. For Driver they’re not only get more TIP from passenger but also get bonus points from FastGo which able to convert to money later”. At this moment, FastGo only support passenger in Myanmar pay by Cash and “FastGo Reward Card”. Very soon FastGo will accept payment by Mytel Wallet and Visa/MasterCard and other international card in coming few months. Passenger can download app from Google Play Store or Apple Store from now on enjoy upcoming promotions.